A relative of my wife, Samuel Smith, was a member of "The California 100." After the Civil War he returned to California. He apparently made his way back east at some point. I have some of his possessions including this bag which may have been for payment for wood which he was selling to the railroad. I don’t know how common these [cloth money] bags are and thought you would like to see it. "Mark Hopkins, Treasurer, C.P.R.R., San Francisco." 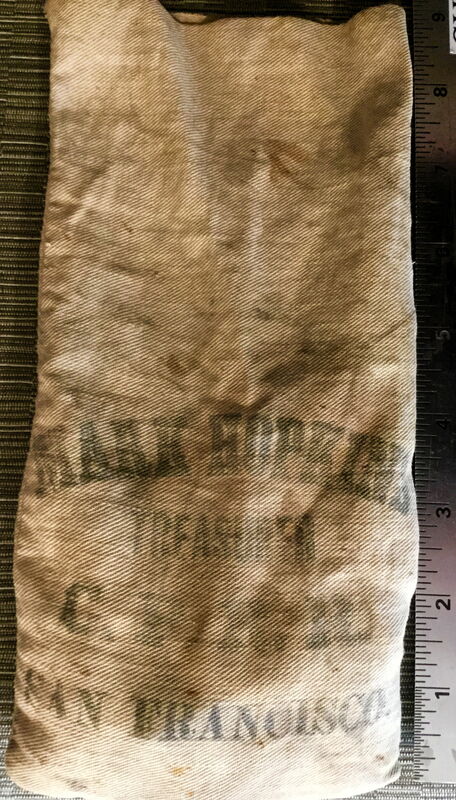 Wonder if this small linen bag could have been used to hold CPRR payments of money consisting of gold coins? Here's a newspaper clipping of the letter. [See above] I assume that Sam’s brother was in Winchester, Massachusetts where the family had roots. This was apparently printed in a local paper as news from California. Sam must have gone to California as a young man sometime after the gold rush. He then enlisted as part of the California 100 in 1862, came back east for the war and then went back to Truckee after the war. His name is on a 1903 roster of California 100 survivors that we also have. These documents along with a 1860 Army Colt pistol are all we have. My further assumption is that Sam came back to Winchester later in life since these items were found in one of the family homes in Winchester about 60 years ago. I'm sure this accident he describes would be national news today! I wonder if CPRR has any historical record of it or were accidents like this common place. I also see that the linen bag shows Mark Hopkins as treasurer probably not long before his death. Samuel Smith seems to have experienced an adventurous life!